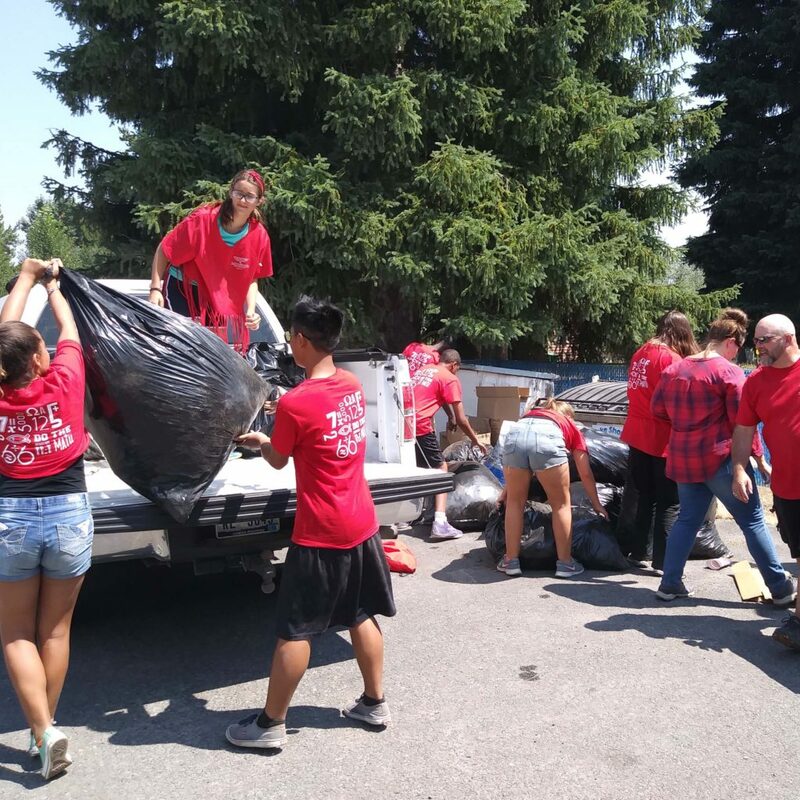 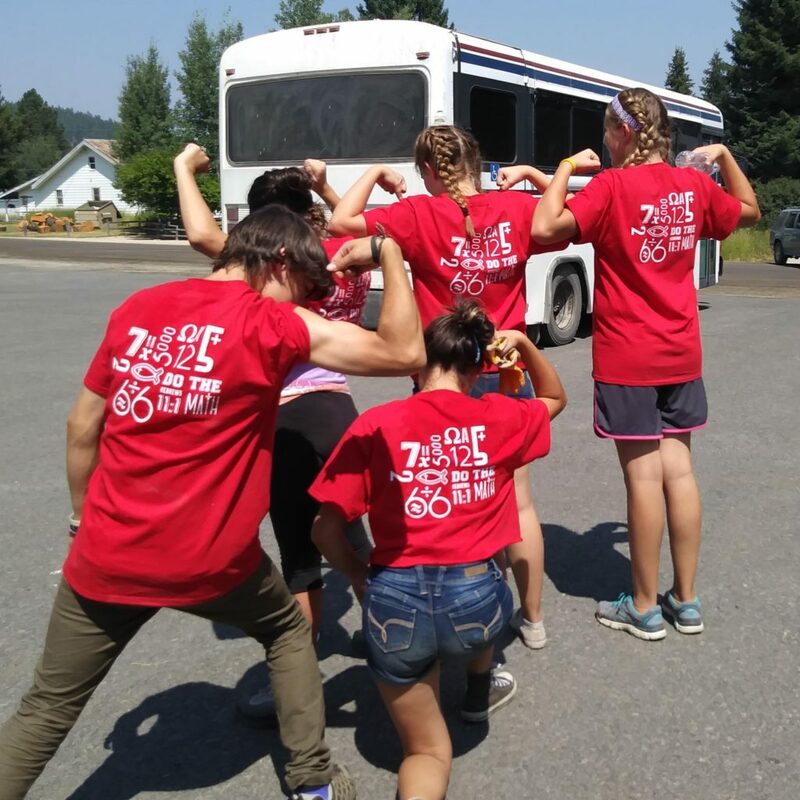 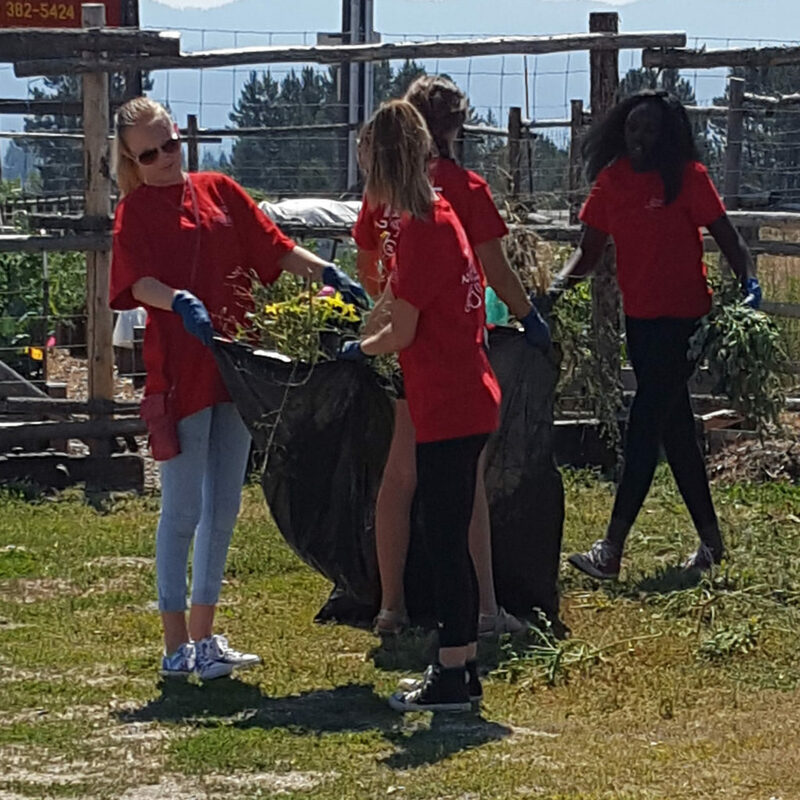 There are many ways to serve the community of Cascade while you enjoy your stay at Cascade Christian Camp. Two of our favorites are helping out at the Cascade Food Pantry and the Cascade Senior Center. The Cascade Food Pantry is located on Highway 55 just as you enter Cascade from the east. 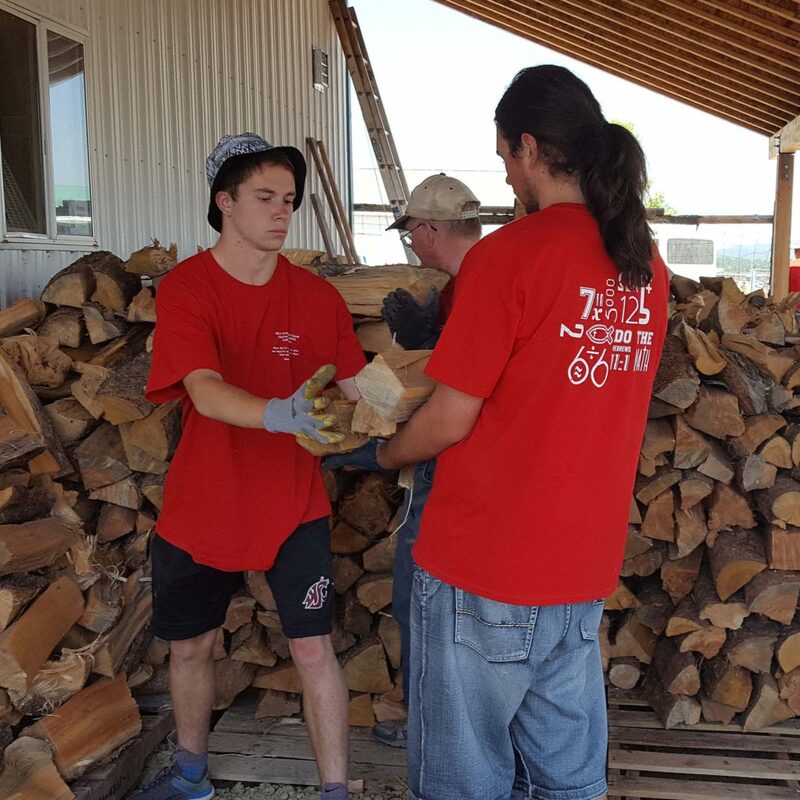 The Pantry provides food distribution, firewood and garden services to those in the community. 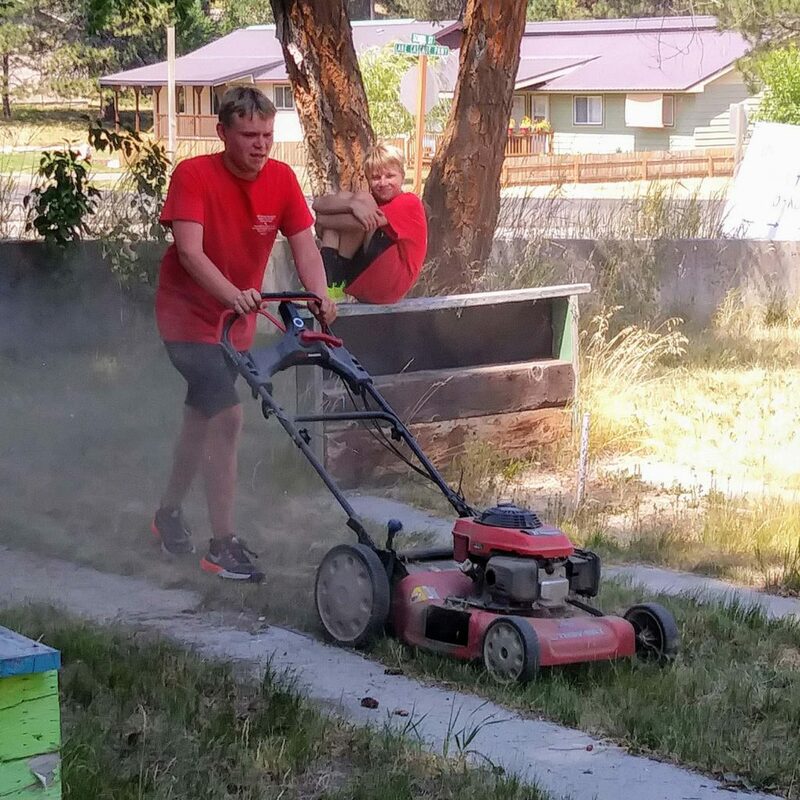 Local and visiting volunteers assist in providing these services as well as keeping up the building and the grounds. 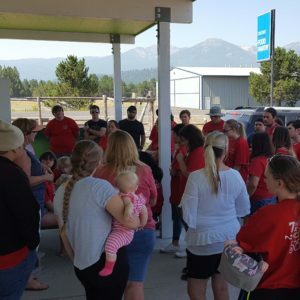 These are photos of our high school church camp group lending a hand where needed. The Cascade Senior Center is located at the corner of School Street and Lake Drive just west of Howdy’s. 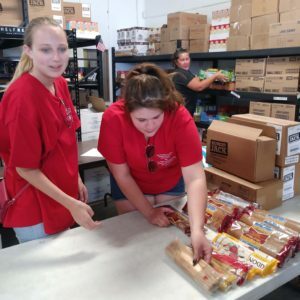 The Center serves meals and provides activities for local seniors, but on a tight budget it prioritizes these services over other things like keeping up with the weeds. Local and visiting volunteers help out by taking care of the grounds around the Center and assisting with other things as needed. 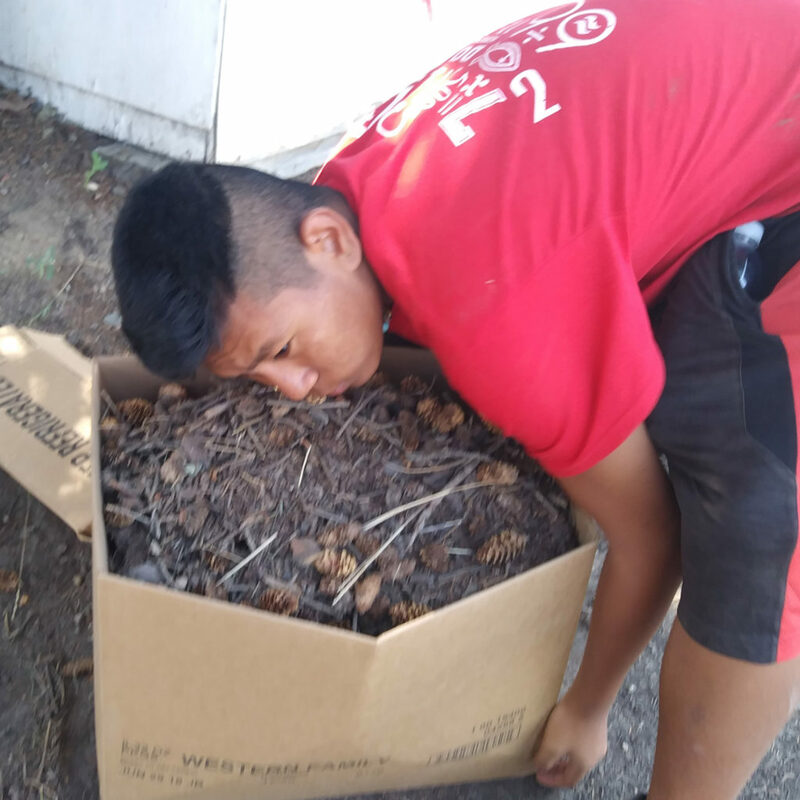 These are photos of our junior high church camp group tidying up.